To develop better policies and meet customer requirements, insurance brokers are continuously adopting new technologies such as telematics, big data, mobile, social networking, and SOA that will help them improve risk assessment to make an informed choice. Insurance brokers are also benefitting from digitization that has made it possible to directly converse with customers using mobile apps. These applications have enabled brokers to provide personalized assistance such as assessing personal needs, explaining premium, and reducing bill to customers. By using these new technologies, insurance brokers are now capable of building business strategies that can meet growing customer demands and manage compliance requirements. With state of the art solution in place, brokers can get access to highly scalable and secure MIS reports and insights into customer needs. These solutions have simplified the entire ecosystem for brokers from customer management, claims registration to reinsurance, treaty management and accounts management. To deliver better customer experience, broker management solutions are taking advantage of latest technological trends such as data analytics that are predicted to have a bigger impact on the ecosystem. 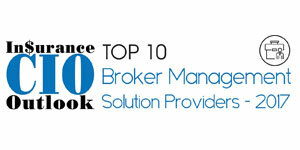 Today, the market is overwhelming with a number of insurance broker management solution providers making it an uphill task for brokers to zero in on one provider. 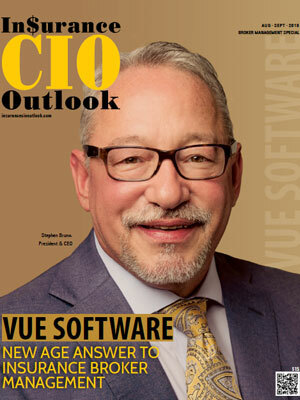 To simplify the scenario, a distinguished panel comprising of CEOs, CIOs, analytics, and the Insurance CIO Outlook editorial board has selected the top players from the competitive field of insurance broker management. The listing provides a look into how these solutions alleviate challenges in the sector and help clients to be one step ahead of the competitors.